We’ve made it to the middle of the week. If you are having trouble battling Hump Day, we’ve got a great guest blog from Hartz that should help you get through the day and also gain some valuable knowledge on flea prevention. Fleas can be troublesome and expensive to treat, so it’s a good idea to get ahead of the game and try to stop them before they start. Hartz has some great information and tips that will help. If you have any questions or comments, please let us know in the comments section below. Thanks! The weather is finally turning and that means it’s a great time to think about springtime flea prevention for your dog or cat. It may come as a surprise, but fleas are active year-round, which means those pests that survive the winter are just as ready for the spring as your four-legged friend. Before your dog or cat stands at the door, ready to get back to enjoying the warm air and fresh grass of the outside world, there are a few steps you need to take to ensure that your pet is safe from those bloodsucking pests. It is not uncommon for dogs or cats to pick up fleas during the winter, so you should inspect your furry friend for any signs of fleas or their eggs. Use a fine-toothed flea comb to check your pet for flea droppings, which are small black or dark brown specks that generally clump together at the base of your pet’s fur, or tiny white dots. If your pet has this residue clinging to his coat, then he has been infested with fleas and will need treatment before venturing outside. Fortunately, there are a few ways to instantly eliminate fleas. Your pet’s health care provider can prescribe a pill that will kill all the adult fleas present on your pet within 24 hours. 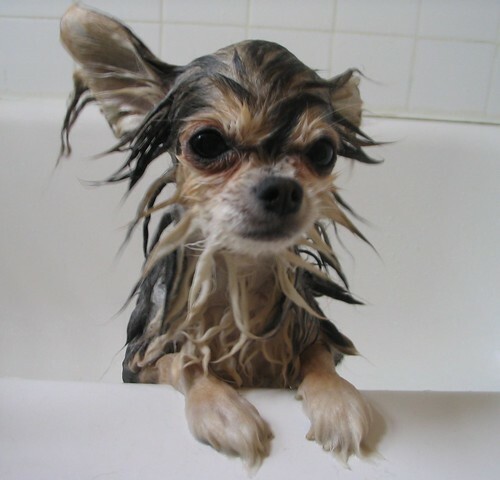 In addition to medication, a bath using special flea shampoo can clean your dog or cat of any flea eggs or larvae. There are so many flea-repelling products on the market that choosing just one can overwhelm pet owners. To get a better idea of what type of flea prevention care your furry friend needs, you need to take into account his outdoor surroundings and activities. For example: Does your dog like to explore wooden areas? Does your cat have a habit of climbing trees? Are there streams and other sources of water nearby? Do you and your pet live by the beach? All of these factors can increase your four-legged friend’s likelihood of contracting fleas, so you’ll need to answer these questions to better determine which flea prevention treatment is right for your pet. Once you’ve considered your pet’s lifestyle, it’s time to choose the best flea treatment for your furry friend. 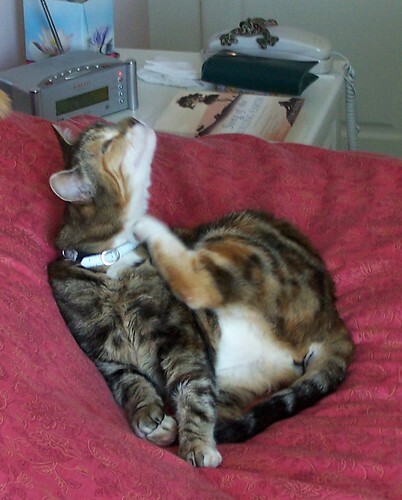 Most pet owners narrow the options down to the flea collar versus flea drops. Flea collars are worn around the neck and work in two ways: some emit a gas that repels fleas, while others release medication that’s absorbed into your dog’s or cat’s subcutaneous fat layer. 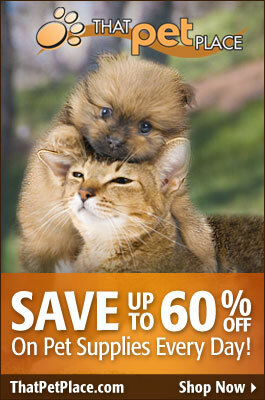 Once absorbed, it repels and eliminates adult fleas and larvae from infesting your animal’s coat. 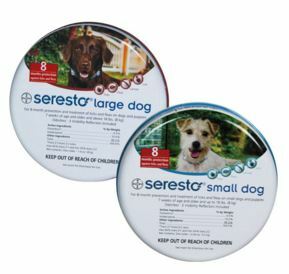 Flea collars can typically work for several months, with some newer designs lasting for up to eight months, making it a great option for pets that are always on the go or living in high-risk areas. Meanwhile, flea drops are a topical treatment that is applied between the shoulder blades of your dog or cat. 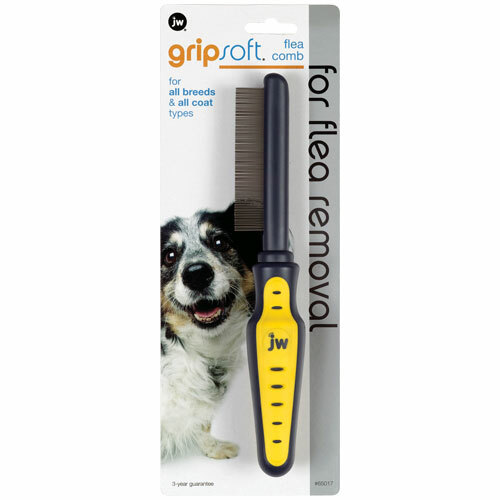 These treatments attack fleas and their eggs, immobilizing and eventually eliminating them. However, flea drops only last for one month, so they require diligence and consistency from pet owners. Flea prevention isn’t just for the outdoors. Fleas can hide in the nooks and crannies of your home, while flea eggs can lie dormant in your carpets or upholstered furniture for months on end. To ensure that your four-legged friend is safe from fleas, vacuum your home at least once a week, including your furniture, tough-to-reach corners and any bedding your pet touches. Studies have shown that vacuuming eliminates 96 percent of adult fleas and nearly 100 percent of young fleas. Has your pet ever experienced hot spots? Hot spots, otherwise known as acute moist dermatitis (AMD), are red, oozing lesions that may form on your pet’s skin…they’re kind of wet and scabby. The patches of irritation may start out as an unnoticeable bite, sting, pustule or other minor skin problem, but your dog’s natural instinct to lick, chew and scratch the area leads to a larger, more visible patch which progresses from a minor bump to hair loss, staining, flaking and possibly infection or permanent scars. Hot spots can can be a problem any time of year, and for any dog, and if you’ve ever had a pet develop hot spots you can guess from seeing them how aggrivating and painful they must be to experience. Let’s discuss hot spots and how you can prevent, heal and otherwise deal with AMD. You’ve all heard the old addage that an apple a day keeps the doctor away. Maybe you eat garlic to kill a cold, or gargle salt water to heal a sore throat. We’ve all tried home remedies to cure a minor ailment. I think I may have tried them all! 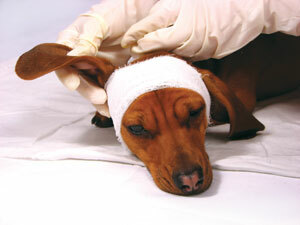 There are also home remedies available for us to help our pets. Here are some simple home remedies you can use to help your pet cope with minor ailments like for skin irritations, coat issues, and digestive upset in the comfort of your own home.